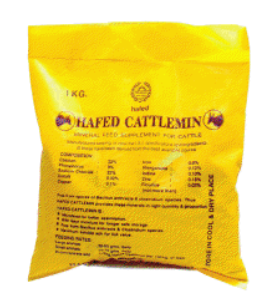 High Quality Cattle feed Product is another speciality in the Hafed’s Products range which is specifically manufactured in its own highly equipped processing units located at Rohtak (Haryana) and Saktakhera, Sirsa(Haryana) and supplied in various packings to the customers through its large chain of committed distributors within & outside the State in the brand name of Hafed..
For clarification, if any, please contact GM at CFP, Rohtak(Mob. 09354224153), GM at AFP, Saktakhera(Sirsa)(Mob. 09354224156) during office hours in working days.